f it can be said that all great religions have arisen from what is decent and beneficent in man, then it follows that good works, charity and social responsibility are logical extensions of spiritual values. Religions have traditionally been major forces for social betterment and are often known, not by what they believe, but by what they do for their fellow man. In this spirit, I want to let our readers know what Scientologists are doing in the world today. Members of the Church of Scientology are internationally known for their effective day-to-day work against the interrelated problems of drugs, crime, illiteracy and moral decay, while also providing special help to their communities in many forms when and where it is most needed. 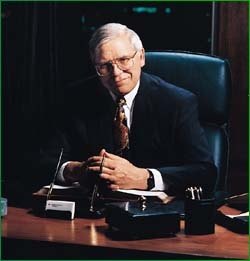 Furthermore, through the years, Scientologists have also served as leaders on many human rights issues. We have championed the right for people to be free from abusive psychiatric treatments, and vigorously investigated, exposed and eradicated violations of other individual rights and freedoms. We are longtime defenders of freedom of speech and pioneers in application of the Freedom of Information Act (FOIA), standing up for the citizens right to know and to act upon that knowledge. One of the ways the Church has advanced human rights is through Freedom Magazine  often the first to investigate and expose situations where abuses of human rights have arisen. Additionally, we have championed freedom of information and produced and widely distributed as a public service two publications which encourage and instruct in constructive use of the FOIA. We were, therefore, astonished to see ourselves accused of supporting restriction of free speech in connection with the information superhighway. This allegation surfaced after the Church of Scientology became aware of violations of the law in this arena. We were responsible for getting restraining orders against individuals who refused to stop infringing upon copyrighted Church scriptures. In another matter, involving stolen Church materials, officers from the Helsinki Bureau of Investigations obtained the identity of an anonymous Internet user from Penetic Inc., an Internet server that sends anonymous messages all over the world. That user had obtained and posted stolen property. This was apparently the first time that the cloak of anonymity had been lifted from an Internet server by law enforcement, and shows that authorities can and will take this step when necessary. If a lawless attitude prevailed toward us, we were certain that it was more widespread. We found that a handful of criminals are abusing the freedom of the Internet. They poison the well for others and their dishonest actions, if continued unchecked, will cause the rights of honest people to be restricted. Just as towns, cities and eventually the entire nation solved alcohol abuse by outlawing alcohol, so will some turn to laws to curb abuses on the Internet  unless those on the Internet collectively increase their level of responsibility on the information superhighway. Greater responsibility means greater freedom. If individual Internet users and servers demonstrate more responsibility, existing laws will be adequate to ensure proper conduct. If not, the door will open to stricter regulations. Because we are dedicated to the defense of the rights of all, including the rights of honest people not to be harmed by criminals who violate the law, we felt it important to publish this information about the information superhighway. Based on this, Freedom looked into the subject, and the result is many of the stories in this issue. We also are dedicated to doing our part to retain the Internet as a vital forum for the free interchange of ideas, opinions and information. In this age where information reigns, we must be astute enough to combine one of our most valuable tools, the computer, with the greatest tool of all, personal wisdom. Our success in doing so will be measured in the quality of life of ourselves and our fellows. Since the January earthquake in Kobe, Japan, teams of Scientology Volunteer Ministers have administered assists, part of a body of spiritual technology developed by Mr. Hubbard to help the individual confront and alleviate spiritual and physical trauma. 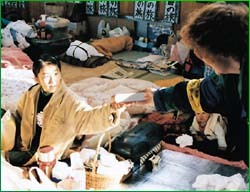 Scientologists have worked alongside the Red Cross and other volunteers to deliver aid to quake victims. The world was stunned by the January earthquake in Kobe, Japan  one of the most catastrophic in the 20th century. In the wake of the devastation, Scientologists from throughout Japan and the Pacific traveled to Kobe to deliver aid to quake victims. Teams of Volunteer Ministers have administered assists which are part of a body of spiritual technology developed by Mr. Hubbard to help the individual confront and alleviate physical difficulties. They involve simple procedures and many can be done almost anywhere  even on the devastated streets of Kobe. 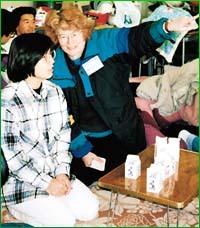 Like their fellow ministers in Los Angeles one year earlier, who had delivered more than 10,000 hours of volunteer work to victims of the Northridge earthquake, and received accolades from the city and county of Los Angeles, Volunteer Ministers went right to work in Kobe. Relief centers were set up throughout the city. Medical teams tended to the physical needs of the residents, followed by Volunteer Ministers who delivered assists. The assists became so popular that many of those who received them wanted to know how to administer them. Lectures were set up by Volunteer Ministers. Red Cross volunteers, many of whom had received assists themselves, were among those attending the lecture-demonstrations, and they learned how to use the techniques to help others. More than 4,000 assists have been delivered there by Volunteer Ministers and others who learned to deliver them. Many wrote or voiced their appreciation. And one man wrote, My house burned down and while living in the relief center I became completely worn out mentally and physically. But the [Volunteer Ministers] came and did assists and Ive seen so many smiles. The Volunteer Ministers are continuing to help the people of Kobe. Local government has arranged facilities they can use to expand their activities. Church of Scientology volunteers were likewise active and on the scene of the major 1989 San Francisco earthquake, the territories of Florida devastated by Hurricane Andrew, the 1994 floods in northern Italy and other times of dire need by communities around the world.